A question that almost every runner will have during this year is: "Should I run with a cold?" The simple answer is no. But obviously that isn't what a runner wants to hear, since she or he is used to getting in their daily run. With that in mind, I'd like to highlight the key reasons why trying to run with a cold is a bad idea. The first concept you should be thinking of is taking steps forward versus taking steps backward. If you can find the discipline to take days off from running when you are sick, then you will probably miss fewer days in the long run. 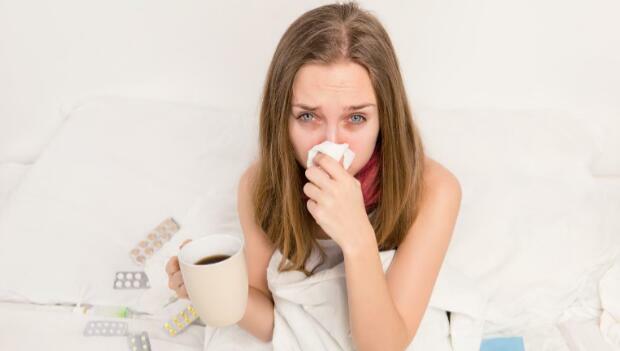 But if you run while you have a cold, you typically prolong the duration of the cold. Yes, you got in a couple of days of running, but you're delaying getting 100 percent well, and therefore you're delaying the date of running a workout or a long run. For example, if you got sick on a Sunday evening (after a long run that morning perhaps), then you could take off Monday and Tuesday from running. If you feel 85 to 90 percent well on Wednesday, then you can go for an easy run. You will likely feel even better on Thursday, which means that on Friday you can do a workout. But if you decide to run on Monday and Tuesday, you'll likely still have your cold on Wednesday. If you run Wednesday, the chances that you'll feel well on Thursday are slim. Fast forward to Friday and you likely won't feel like working out. Obviously this is a theoretical example, but the point is, in the scenario where you take a couple days off completely from running, you end up getting to do a workout a few days later. But in the scenario where you try to run when you're sick, you end up prolonging the sickness and pushing the date of your next workout back. No one likes to be sick, and runners hate taking days off. But if you're a runner and you're sick, you need to have the discipline to take a couple of days off from running, which will allow you to get back to easy aerobic runs and workouts sooner. I have a simple rule for dealing with sickness among my online clients and the running group I coach in Boulder, Colorado. You can't start running again until you feel 85 to 90 percent well. This has worked well, and helps runners with the first scenario above. When you're honest with yourself when you have a cold, chances are that you're less than 85 percent, so you simply take that day off from running. If you wake up the new day and are better, then you need to try to quantify how much better you are. Obviously there's some subjectivity to saying "85 to 90 percent," yet the question does force you to take inventory of how you feel. Often this means a second day off from running.